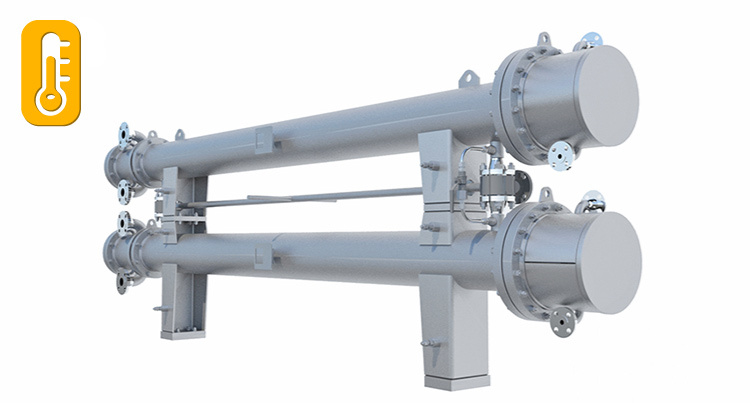 HEAT EXCHANGERS – COES S.R.L. Since 2011 Shell & Tube heat exchangers have been added in COES range of products, in order to satisfy Customers needs. They are engineered and manufactured following “project-based” philosophy complying with major standard codes and client specifications. Hundreds of units have been thermally selected, mechanically calculated, engineered and designed, then manufactured and installed. Different International rules can be applied and additional certifications can be provided according to project final destination and installation. Thermodynamic selection is performed by HTRI software, worldwide leader for thermal calculation of heat exchangers, approved by major engineering companies. Mechanical stress calculation is verified by PV Elite software according to codes ASME and EN 13445, while 2D and 3D drawings can be supplied for each project. COES company is ASME certified, so it can supply units with U-Stamp certification and National Board registration, and it is also associated to HTRI, Heat Transfer Research Inc.